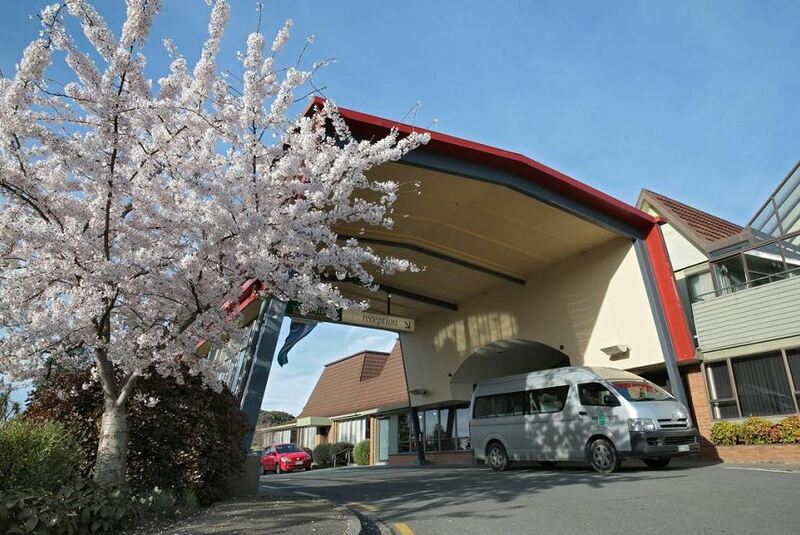 The 4-star Ascot Park Hotel is 4.8 km from the city and less than a 15-minute drive from Invercargill Airport. Guests can dine at the on-site bar or restaurant, or by using the 24/7 room service. All rooms include cable TV. Guests receive 500 MB of free Wi-Fi per stay. The Ascot has a hot tub, sauna and a heated indoor swimming pool available for use by all guests. There are also conference facilities. A free shuttle service is provided into the center of town. Emberz at Ascot restaurant serves gourmet cuisine, and Emberz Bar features a range of beer and wine. Guests can also relax at the Sportmans bar which has a large TV screen. Ascot Park Hotel supports sustainability, with environmentally-friendly policies around the hotel such as recycling in the rooms, public and staff areas, along with chemical-free cleaning in the hotel rooms.